There is no surprise about air pollution, which remains high during winter every year after the Diwali celebrations. It is the time when you can experience a rise in AQI, which results in worst air quality. It is during the winter when you experience temperature transposal, wherein the cold air gets trapped by a layer of warm air. In this process, air pollutants also get trapped forming smog. Smog is a mixture of smoke and fog. It is also a combination of aerosols and water vapor that gets trapped in the stagnant air. Breathing such an impure air can cause serious respiratory illnesses. 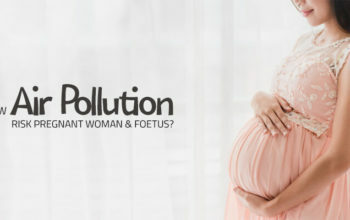 So, what is the solution? 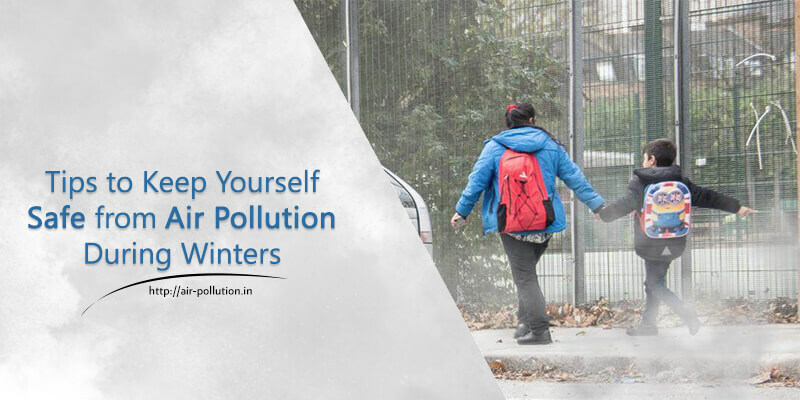 Here we have compiled 5 effective ways to keep yourself protected from the rising air pollution during winters. The first and the foremost thing that you should do is to avoid stepping outdoor when the air quality is not good. However, if you want to go outdoor, make sure to monitor the air quality, which is very essential. There are air quality monitoring applications that can keep a constant watch on the quality of air in your area where you stay. Download those application to check the AQI level before stepping out of your house. While traveling, it is important that you wear a mask. Wearing mask is very essential during winters as this can stop 0.3 micron sized particulate matters entering inside your lungs and causing health hazards. By wearing a mask, you can definitely ensure that you are not breathing the polluted air. During winter, smog is usually very thick, and the air quality is also very harmful. Do not confuse smog with fog because walking or exercising outside during worst air quality can affect your lung function. It is the time when you should take special care of the children and the elderly person because they have weaker lungs. Do you know there are different pollutants like ammonia, carbon monoxide, formaldehyde and benzene resides in your house? To reduce the effects of these indoor air pollution, planting indoor plants can be helpful. Plants like Aloe Vera, Peace Lily, Golden Pothos, English Ivy, Weeping Fig, Warneck Dracaena and Heartleaf can help increase the oxygen levels indoor and even decrease the air pollutants in your house. Another effective tip to keep yourself safe from air pollution is to install an air purifier, which can help reduce the amount of air pollution indoors. Ensure to install an air purifier that has multi-stage filters like pre-filter, carbon filter, and HEPA filter. All these filters can remove almost 99.97% of particles that are less than 0.3 microns in diameter. Besides, it can also trap large particulate matter and dust particles like cobwebs, human or pet hair, debris and sand particles with efficiency thereby making the air inside the room pure, healthy and pollution free. 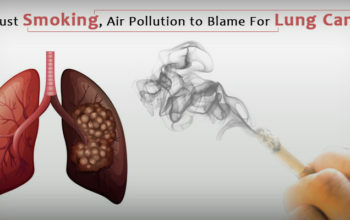 Air pollution can harm your health and it can risk people with lung or heart diseases. So, follow the above-mentioned tips to keep yourself and even your loved ones safe this winter. If you have any protection ideas apart from the mentioned points, leave us in the comments below.